There have now been a few published case reports where playing a wind instrument caused a persistent cough... one of which ended in death. Report in 2010 described a trombone player whose chronic cough for over 15 years was ultimately found to be due to a mold called fusarium as well as mycobacterium (cousin to TB) found growing inside his trombone. Each time he inhaled while playing the trombone, these germs inside his trombone was causing an allergic reaction, which led to hypersensitivity pneumonitis, a severe inflammation of the lungs. The doctor who figured out the problem went on to investigate other wind/brass instruments of other players and found them all contaminated with germs. Here's another report on a saxophone player who suffered from something similar. Finally, a report published in 2016 described a musician who developed a severe hypersensitivity pneumonitis from playing his bagpipes which ultimately lead to his death. Cultures obtained of air samples inside the bag were found to contain the fungi Rhodotorula mucilaginosa, Fusarium oxysporum, various species of Penicillium, and Trichosporon mucoides. This is not the first time bagpipes have been implicated in pulmonary disease. In 1978, Lancet published a report of a bagpiper who developed cryptococcal lung infection. In any case, how should wind musicians clean their instruments to minimize risk of developing lung inflammation and chronic cough? Ideally, clean the entire inside of the instrument with cloth and rubbing alcohol (isopropyl alcohol) after each use. Of course, chronic cough can occur due to factors that have nothing to do with wind instruments including reflux, allergies, neuropathy, etc. 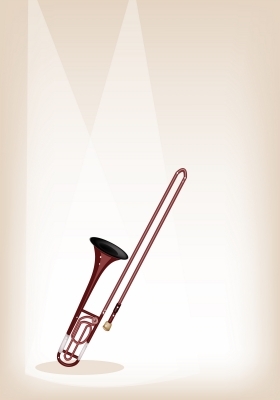 Trombone Player's Lung: A Probable New Cause of Hypersensitivity Pneumonitis. Chest. 2010 Sep;138(3):754-6. Hypersensitivity Pneumonitis Due to Molds in a Saxophone Player. Chest. September 2010 vol. 138 no. 3 724-726. Bagpipe lung; a new type of interstitial lung disease? Thorax doi:10.1136/thoraxjnl-2016-208751. Aug 22, 2016. A microbiological survey into the presence of clnically significant bacteria in the mouthpieces and internal surfaces of woodwind and brass musical instruments.